Bitcoin has been praised for its improved security over traditional currencies. However, using bitcoin is definitely not the most private or anonymous way to carry out transactions. The creators of some altcoins have stepped up to attempt to provide a form of digital currency that offers more privacy and anonymity. Dubbed ‘privacy coins,’ these altcoins are often associated with darknet markets and illegal activities, but there are plenty of legal reasons for wanting to maintain privacy. Whether you want to keep personal transactions private or you run a business and need to conceal transactions from prying eyes, anonymity is key. With privacy coins becoming increasingly advanced, you have plenty of options. Monero, zcash, and dash are three of the most popular altcoins that offer superior anonymity to bitcoin. They each have their own pros and cons and there is debate about which is the most anonymous. 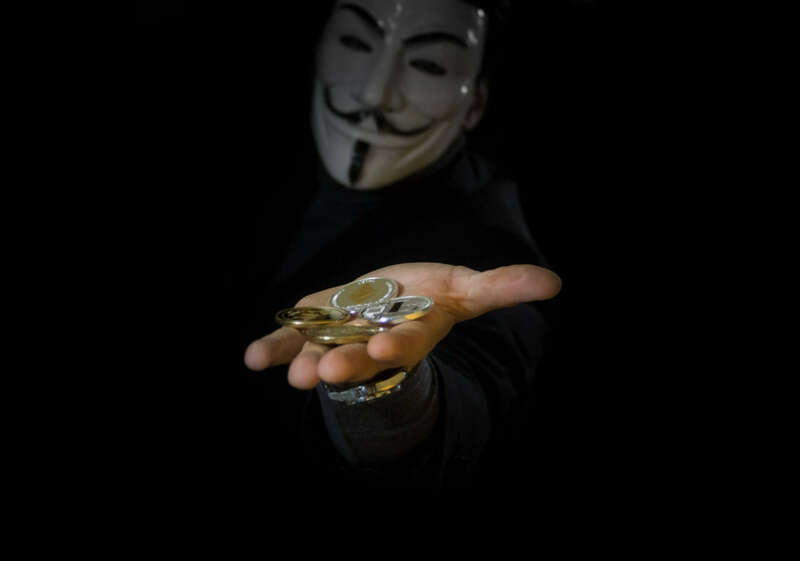 In this post, we explore each of these altcoins and compare them to decide which offers the best option for those seeking more anonymity. Before we jump into the three altcoins, we’ll take a look at the meaning of anonymity in terms of cryptocurrencies. Since it’s the most widely known cryptocurrency, bitcoin serves as a good point of reference. Bitcoin is lauded for providing improved security over fiat transactions. When we talk about security here, it essentially refers to the difficulty involved in someone stealing or copying coins. The improved security is due to the nature of blockchain technology. It would take a group of miners with at least 50% of the mining power to include a false transaction in a block. Every block in the chain includes the hash of the last, which makes changing past blocks extremely difficult. So with each block that is added to the chain, every past transaction becomes increasingly secure. Even the latest block to be added to the chain would be difficult to tamper with and each one before it more so. Security has been improved upon with some altcoins but bitcoin is still considered solid from this standpoint. On the other hand, it’s largely agreed upon that bitcoin isn’t all that private or anonymous. Every transaction, including the wallet addresses of the sender and recipient, amount, date, and time, is stored on a public ledger. It can be considered pseudonymous because names aren’t actually listed, but it would be fairly easy to trace most wallet addresses to their owner using clues like IP address and transaction history. While it is possible to make bitcoin transactions more anonymous, it does require a fair amount of effort in the form of coin mixing. In the context of bitcoin, coin mixing is often referred to as coin tumbling or laundering. It involves mixing coins from multiple parties in order to break the connection between the sender and recipient. If done properly, it can make transactions virtually impossible to trace. Bitcoin Blender is one popular service for mixing bitcoins. To mix coins properly involves various steps including creating multiple fresh wallets with new burner email addresses. The process can be cumbersome and time-consuming, especially if you’re mixing on a regular basis. For ongoing anonymity, it makes more sense to go with a cryptocurrency that provides an in-built option for anonymous transactions without the added fuss. Even with these, you likely still need to take additional precautions such as using an anonymizing browser like Tor. Improvements made by the creators of some altcoins to make the cryptocurrency more anonymous also makes it fungible. This way, users don’t have to worry about tainted coins and subsequent loss of value or rejected transactions. As mentioned earlier, privacy coins have been linked to criminal activity, from tax evasion to drug dealing, but there are plenty of legal reasons for wanting to keep transactions anonymous. You probably wouldn’t want the world to be able to view your bank statements and cryptocurrency transactions shouldn’t be any different. A couple of specific cases in which you may want to go anonymous are when paying for a private medical procedure or service, such as cancer treatment or psychotherapy, or making an anonymous donation to charity. And these are just on a personal level. The implications for businesses dealing with things like trade secrets or a private list of clients could be much broader. Now that we know what we’re looking for in terms of anonymity, let’s see what these three coins have to offer. Dash has other factors that differentiate it from the bitcoin network, including how decisions are made. Any changes to bitcoin require unanimous approval from members of the network. Dash instead uses a voting system which means that changes can be made quickly. Another notable difference between this altcoin and bitcoin is the operation of the network. There are two main tiers, the miners and the ‘master nodes.’ The miners carry out similar functions to those in the bitcoin network. The master nodes are responsible for governance functions and for carrying out special transactions — InstantSend and PrivateSend. InstantSend enables near-instantaneous transactions and is claimed to prevent double-spending, a potential problem with other cryptocurrencies. Regular block times are two and a half minutes whereas InstantSend transactions can be processed in under a second. Dash is traded on various exchanges and is included in many cryptocurrency payment networks and debit cards. It can also be found in certain US ATMs and at post office branches in Austria. It’s the most widely adopted (mainstream) cryptocurrency of the three. PrivateSend transactions are where dash gets its reputation for being one of the most anonymous altcoins available. This privacy initiative uses coin mixing to improve anonymity. As mentioned earlier, mixing bitcoin can be a bit of an inconvenience, especially if done regularly. In the case of dash, when users take advantage of the PrivateSend function, the mixing is carried out for them and coins are deposited in new addresses. By the end of the process, the origin of the coins is obfuscated. This also makes the currency somewhat fungible, but only when PrivateSend is used. PrivateSend can be initiated at the click of a button, but there are fees involved. (Source: Dash)The main questions here pertain to how reliable this service is and whether it will really help you remain anonymous. One of the main critiques is that you can still see the receiver of the coin. The whole network isn’t private, just the PrivateSend function. So if you send coins, you’re reliant on the recipient of the transaction using the PrivateSend feature if you want to break the connection. Basically, if anonymous transactions are connected to non-private ones, there’s potential they could be traced. Monero was created in the same year as dash and origniated as a fork of bytecoin. There was some negative press surrounding bytecoin at the time, with critics dubbing it “shady.” This was mainly due to the fact that a large majority of coins were pre-mined and granted to an unknown group of creators and stakeholders. 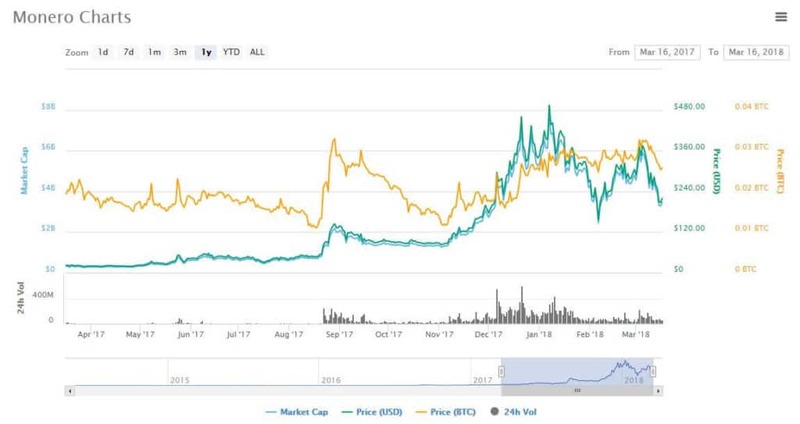 Nonetheless, monero, which is based on the same CryptoNote protocol that bytecoin was, gained popularity fairly quickly, its market cap peaking (subject to the time of writing) at almost $7 billion at the beginning of 2018. In fact, it was the best performing cryptocurrency of 2016 in terms of market cap, although this has been attributed to its popular use in criminal activity. The network is based on blockchain technology similar to that of bitcoin, with one of the main differences being that blocks are mined every two minutes. 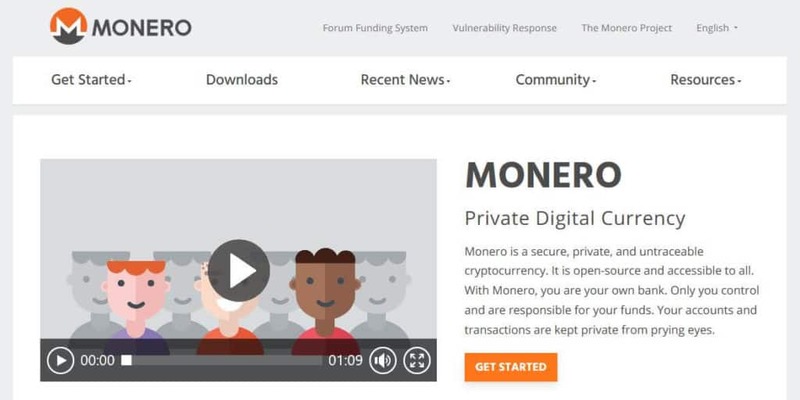 Although it has gained most of its fame from its privacy features, monero does address usability issues inherent in some networks. For example, instead of simply having a cap on block size, it issues penalties to prevent miners from trying to manipulate the system. Monero is difficult to purchase with fiat currencies although it is traded for both EUR and USD on Kraken and for USD on Bitfinex. It can be found on multiple exchanges for purchase with other cryptocurrencies. Some merchants accept monero as a form of payment and it’s included in various coin payment platforms such as Binance and Evercoin. As mentioned, the place you’re most likely to see it accepted directly is within darknet marketplaces. Confidential transactions were introduced to the monero network at the beginning of 2017 through the use of ring signatures as an optional part of the protocol. They became mandatory in September 2017. A ring signature involves additional possible senders (mixins) for each transaction. This means that the actual sender could be one of two or more people. What’s more, transactions are broken up into separate amounts so that one transaction actually occurs as multiple, going to different ‘stealth addresses.’ This negates the possibility of someone tracing a sender or recipient based on personal details attached to their wallet address. However, critics have identified flaws in the system and claim that transactions can be traced. A potential issue if you’re thinking about using monero is that it’s getting a bad reputation for increased popularity with criminals. It was reportedly the ransom currency of choice in the Wanna Cry ransomware attack of 2017 and has been a feature of other major attacks since. That being said, its widespread use in criminal activity is actually considered testament to its privacy and anonymity. Monero is fungible so tokens don’t lose their value if they’ve been used in shady transactions. Bear in mind, similar negative press has been earned by bitcoin in past years. Plus, given the chance, a newer coin like zcash could be catapulted to notoriety within the criminal underground very soon. The point is, if something can be used for both good and bad, it likely will be. Zcash is the youngest of these three privacy coins, having only been around since October 2016. Developed by a reputable team of scientists and cryptographers, it didn’t take long for this coin to join the wave of crypto success stories and reach a peak of more than $2.5 billion in market cap earlier this year. It hasn’t exactly made its way into the mainstream just yet, but it can be exchanged for fiat currencies on a few exchanges including Kraken, Bitfinex, and CEX.io. It can be easily purchased with other cryptocurrencies on exchanges like Binance. Zcash claims to be more secure and private than bitcoin due to its “zero-knowledge” ledger. Instead of displaying the identities of senders and recipients along with amounts, the ledger only shows the time a transaction took place. The network is based on zk-SNARKs, a form of cryptography that uses zero-knowledge proof. In the most basic terms, this means that transactions can be verified simply based only on true-false statements. Zcash was the first major cryptocurrency to use this protocol, although others including Ethereum have followed suit. Like dash and monero, zcash is fungible. Zcash emphasizes in its FAQ section that there is more of a focus on privacy than anonymity per se. It mentions that while IP addresses aren’t protected, use of an anonymizing network like Tor can complement its privacy features. In another FAQ answer, zcash alludes to the improved privacy it holds over dash PrivateSend transactions. While it doesn’t outright mention the other cryptocurrency, it compares a pool of 20 million senders to that of three (which happens to be the number involved in a dash transaction). Indeed, monero also appears to be hampered by a similar issue since its ring signatures contain a limited number of mixins. Zcash basically argues that a larger set size is better, which of course makes sense. There has been a bit of skepticism regarding the strength of this altcoin’s underlying protocol, but without solid proof, it’s hard to determine if this is simple bias. There have been attempts to audit the system but even those are deemed to provide additional assurance rather than substantial evidence. All of these cryptocurrencies offer advantages over bitcoin when it comes to privacy and anonymity. So which one should you choose? Dash: This altcoin is more accessible and widely accepted (outside the darknet) than the others. But it only offers increased privacy and anonymity through its PrivateSend feature. This could be a more suitable option for those looking for something that is easy to spend and who need occasional anonymity. Monero: This coin is hampered by a bad reputation and accusations that transactions are traceable. Although, it has been in use for a relatively long period and has proven success in marketplaces (albeit some illegal ones). Zcash: This one provides increased privacy through its underlying protocol, meaning less traceability. If used properly, i.e. with an anonymizing browser, it appears to be the most anonymous option overall. But it doesn’t have experience on its side which may put some users off. Your choice could depend on various factors, including your use case or even how much faith you have in the creators of each coin. It’s worth bearing in mind that the protocols and systems behind each coin are in constant development. As such, one that is missing the mark right now might be rolling out improvements very soon. Indeed, if you take a look at forums on the topic, you’ll find some ongoing debates about which offers the most privacy and anonymity. Disclaimer: We do not condone the use of any fiat or cryptocurrency for the purposes of illegal activities. Additionally, the information in this article should not be interpreted as a recommendation to invest in cryptocurrencies. This is a risky and volatile market and anyone thinking about investing should complete their own due diligence beforehand.